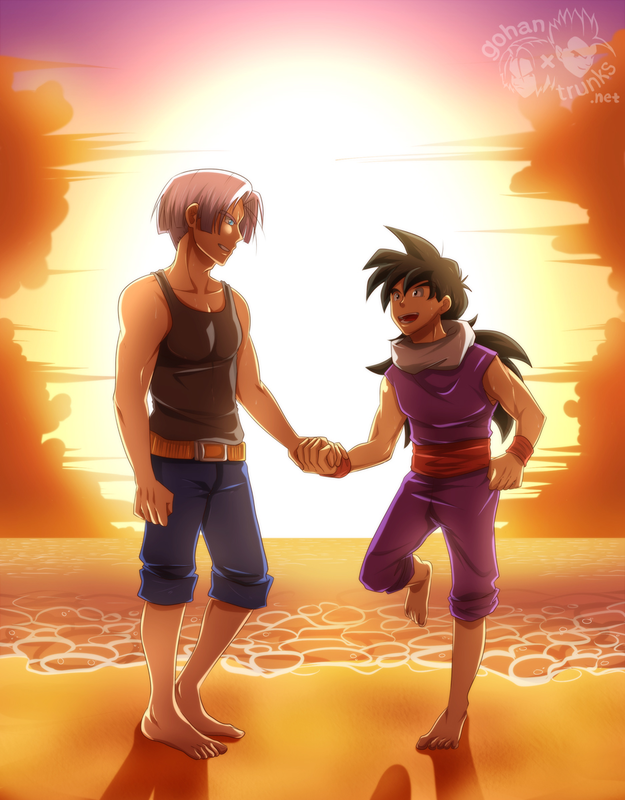 Gohan had to agree that despite the endless and excruciating training, there were many pleasant moments. Just like now. Grinning, he watched Trunks approaching his bed with a food tray in his hands. “You being deadly tired yesterday,” Trunks said, straddling Gohan with the tray. “Yeah, thanks,” Trunks said, scratching the back of his head awkwardly. “You know, the Hyperfridge is still freaking me out,” he admitted. First thing they did on their first day in the Time Chamber after having looked around and then trained was search for some food source. They found a huge fridge in what was clearly a kitchen in the building connecting the outer and inner worlds of the Time Chamber. It was stuffed with various foods: vegetables, fruit, many types of meat and seafood, dairy products – there were plenty of them but nowhere close enough to last them for three years. There was also the problem of all that food expiring and becoming inedible. However, soon they have discovered that the fridge kept restoring the food resources. For example, if they drank a bottle of milk in the morning, it would be mystically back on the shelf in the evening. The food that was about to go bad would also renew itself. Gohan had called it “The Hyperbolic Time Fridge” but, with time, the long name was just shortened to “Hyperfridge”.